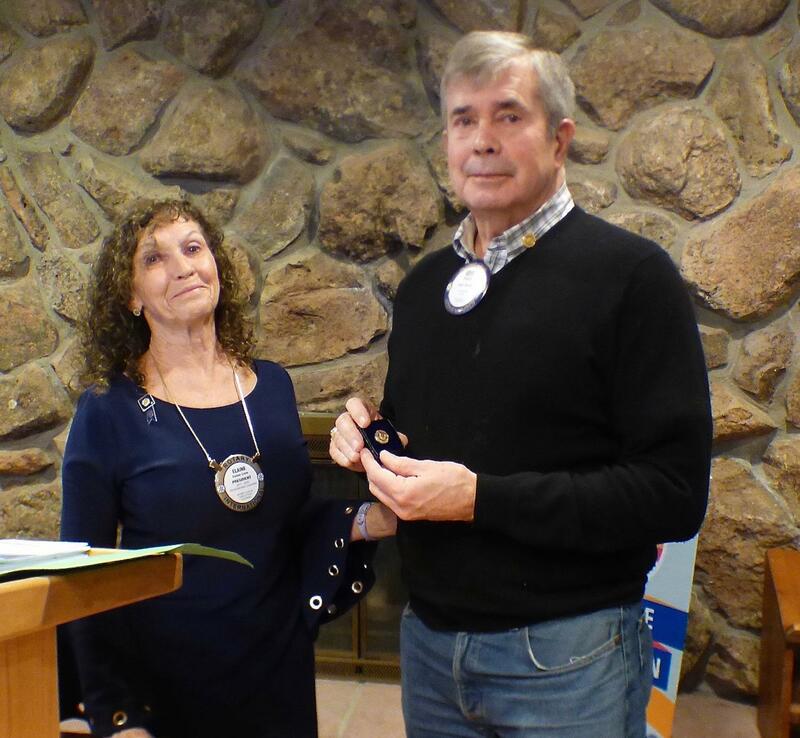 Paul Dassel receives a Paul Harris Fellow pin from club President Elaine Love. The Paul Harris pin designates a certain level of giving to Rotary International which uses the funds to improve the health, safety and education of people around the world. The Rotary Club of Castle Rock meets at 7 a.m. at the Village Inn restaurant in Castle Rock. Visitors are always welcome.